With a new year, we have the opportunity to make new fitness goals. Maybe you want to get leaner or maybe you want to get bigger. Maybe you finally want to get that “summer body” you have always wanted to show off on the beach or pool deck. 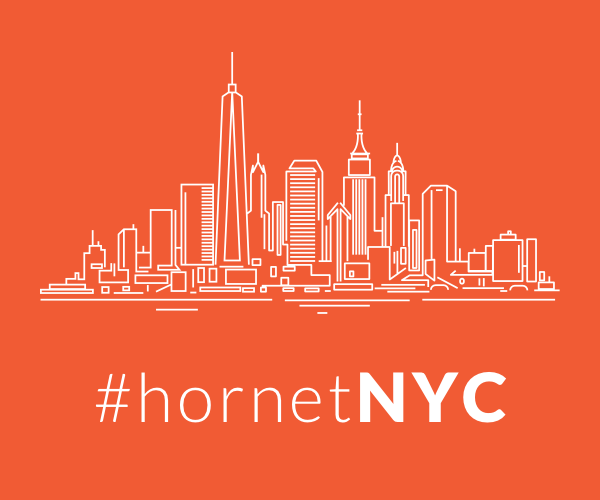 Whatever your goal, Hornet is giving users in New York City the unique opportunity to train with a real pro in a fun and social environment. Hopefully, this gets them one step closer to make those New Year’s resolutions come true. We had the opportunity to check-in with Sensenig about what attendees can expect from the event, his thoughts on workout trends of the moment and his personal philosophy when it comes to fitness. Where do you usually train your clients? Most of my private clients I train at Lift Gym in Midtown Manhattan. What’s your personal philosophy when it comes to fitness? I would hope that my philosophy towards fitness in general is pretty much the same as that of virtually everybody today. We’re all certainly aware of how important it is to try to achieve and maintain some level of physical fitness, especially cardiovascular fitness. Where I differ from most trainers and even many of the “experts” in my industry is in my belief that most training programs out there today cant and don’t accomplish what they claim. I feel that “lip service” is paid to the fundamental idea that by gaining muscle mass, a person will get leaner and increase their basal metabolic rate (undeniably true), but then a vast majority of programs that are offered up have absolutely no chance of truly affecting any real change with respect to gaining real muscle. How do you deal with people who come to you at the beginning of a new year with high hopes and expectations of getting fit? I tell them the truth. What they can expect, what they’ll have to be prepared for, and what pitfalls are most likely to derail the process. What is the best thing a person can do at the start of a new year to make sure they stick to their resolution? I’m a pretty confident individual, but if I thought I had a real answer to that one I would be delusional. What is trending right now in fitness and is it an effective way to get in shape? I think a lot of the things that are “trending” today are actually dangerous because too much of it is “borrowed” from programs being followed by elite and professional athletes, navy seals and the like. There’s no doubt that Michael Phelps is an in shape dude. But if I put my investment banker client, (whose current claim to fame in terms of his fitness is that he’s the top dog in his spinning class) through a workout even remotely similar to that of an elite level swimmer without taking into account his foundational muscle and joint function, I’m an idiot. Even if by some miracle I manage not to injure him (outside of his ability to brag to his friends that he does the Michael Phelps workout, I won’t affect his fitness in any, measurable, positive way. He may say he feels stronger, has better endurance, whatever. The wince and accompanying grunting sound that he makes when he reaches to pick up his bounding three year old daughter really will tell the truth as to what we’ve accomplished. Why do you think you’re successful as a trainer? Because my clients’ bodies change. Dress, pants, and shirt sizes change. And my clients can always train because they’re never injured from our workouts. They ski, golf, play tennis, and can’t wait to send me pictures of themselves. What can attendees expect from your event with Hornet this Saturday? I really want everybody to walk away from our seminar on Saturday, hopefully realizing that very strict adherence to body position, alignment, posture, and form on compound lifts really can affect and transform their physique to the degree that they thought possible on the first day they ever stepped into a gym. And for those in the group who already feel that they’re “there”… I’m pretty confident that, between Sarah Currie and myself, we can send them out of there with some insights and ideas that will have them chompin’ at the bit, ready to get back to their own gym.